The most popular meat in Chinese cuisine must be pork based on the sheer number of dishes that featured this protein in Chinese cooking. Chinese cuisine uses every part of a pig to make all kinds of different delicious dishes. Pork is a pretty forgiving protein although, at times, it can be easy to overcook and dry out. If you purchase ground pork to make Chinese meatballs or dumpling fillings, make sure the meat has at least 30 percent fat. Otherwise, your dumplings may have hard and dry fillings, which is as a result of meat that is not fatty enough. Pro tip: If you don’t want to use fatty meat, you can mix a little bit of tofu into your filling or mixture. It may not be as full flavored as fatty meat, but it will help to soften the filling and improve its texture. Ants climbing a tree: This is a very flavorful, albeit spicy, Sichuan (Szechuan) dish. Marinated pork is cooked in a spicy sauce and served over cellophane (mung bean thread) noodles. Asian cherry buns: This easy-to-make, Asian influenced bun recipe lets you take advantage of the summer's cherry season. Chinese baked pork: Hoisin sauce adds its own special flavor to this easy recipe for a pork leg that is marinated and baked. Char siu pork: Char siu roasted pork is also called barbecued pork, partly because it is reddish brown and has a slightly charred look around the edges. Chinese dry garlic spareribs: Simmering the ribs in a sauce adds flavor to this Montreal specialty. Four happiness pork: You will not usually find this Shanghai specialty on most restaurant menus because it is too time-consuming to make. However, it is as common to Chinese families as roast beef is to Western families. It is delicious with steamed buns and any vegetable dish. Fried pork with spring onions: Pork is marinated in rice wine and sautéed in this quick and easy recipe. Spicy hoisin stir-fry pork: A spicy hoisin sauce mixture serves as both marinade and sauce in this easy stir-fry dish. Serve over cooked egg noodles. Honey garlic spareribs: Honey and garlic make an interesting flavor combination. This recipe for honey garlic spareribs serves 6 to 8 people. Lion head Chinese meatballs: Lion head meatballs are a famous and classic dish in Chinese cuisine. It is called “lion head meatball” due to the size and shape of the meatballs. This is a popular dish in Chinese banquets and celebrations. This dish is also a popular dish for Chinese New Year dinner. 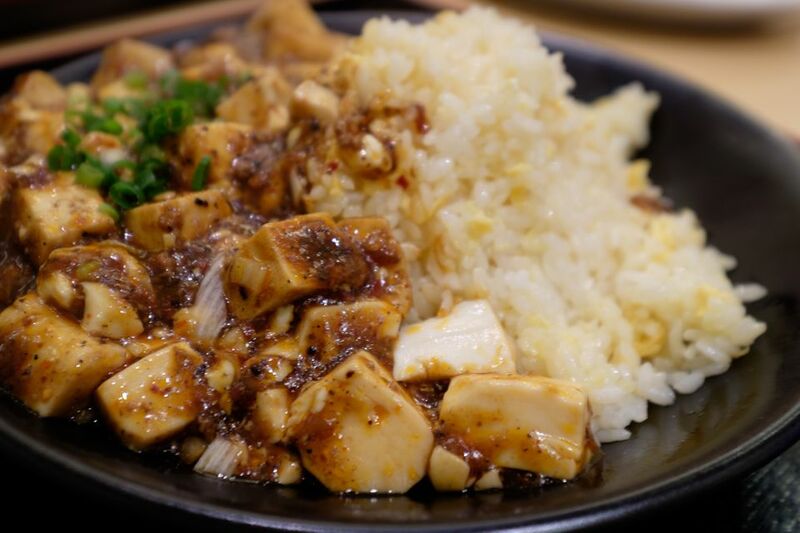 Mapo tofu: Mapo tofu is one of the signature dishes of Sichuan cuisine. The creator of this dish was a lady called Chan Ma Po known for a pockmark on her face. You can also try another variation: mapo tofu with black beans. Mu shu pork: This is the famous northern Chinese dish, served with mandarin pancakes and hoisin sauce. Orange pork chop stir-fry: The sauce is made with orange juice, soy sauce, and honey and features bok choy and carrots in the stir-fry with pork chops. Pork chop suey: While chop suey is an American-Chinese creation and not an authentic Chinese dish, it may have been inspired by the stir-fried vegetables Chinese farmers used to eat after a long day working in the fields. Pork chop suey is primarily a vegetable dish; the meat is added for extra flavor. Pork with Peking sauce: Feel free to enhance the appearance of this simple dish with green onions brushes, carrot curls, or other vegetable garnishes. Red-cooked pork with beer: In this red-cooked pork recipe created by chef Martin Yan, pork is marinated and then simmered in a soy sauce-based liquid that includes Tsingtao lager and hoisin sauce. Be sure to plan ahead for this recipe, as the pork needs to marinate for at least 4 hours. Spicy salt and pepper spareribs: A spicy salt and pepper mix lends flavor to deep-fried spareribs. If it is available, feel free to substitute Sichuan peppercorns for the black peppercorns. Steamed pork in egg custard: This meat cake can be made in a healthier way by just using egg whites. Sweet and sour pork with pineapple: There many versions of sweet and sour pork with pineapple and varieties such Shanghai-style sweet and sour pork and sweet and sour pork with black rice vinegar. Twice-cooked pork (hui guo rou): Pork is first boiled, then stir-fried in this Sichuan dish, Feel free to add a bit of the seasoned pork boiling water to the vegetables during stir-frying. Boiled pork belly with garlic sauce: This dish originates from Sichuan in China, and has become a very popular dish worldwide. The main ingredient of this dish is pork belly. When you think pork belly you might think of a dish that is very rich, heavy, and greasy to eat. But, this dish is served cold with delicious garlic sauce and cucumber so it is much lighter than you may think and is a very popular summer dish in the East. Fen jen ro: Fen jen ro, pork belly in rice powder, is a dish that takes 2 to 3 hours to steam, and the developed flavors of this dish make it worth the wait. Classic pork dumplings: This is a must-try classic Chinese dumplings recipe that has step-by-step photos for guidance in preparation. Tiger bites pig gua bao: Tiger bites pig is a well-known and popular Taiwanese snack food. The other name for this delicious snack is gao bao.